A clean and un-cluttered five by two metre exhibition stand, which has one main wall leading into a high protruding wall. This consists of a display screen and hidden lockable cupboard. 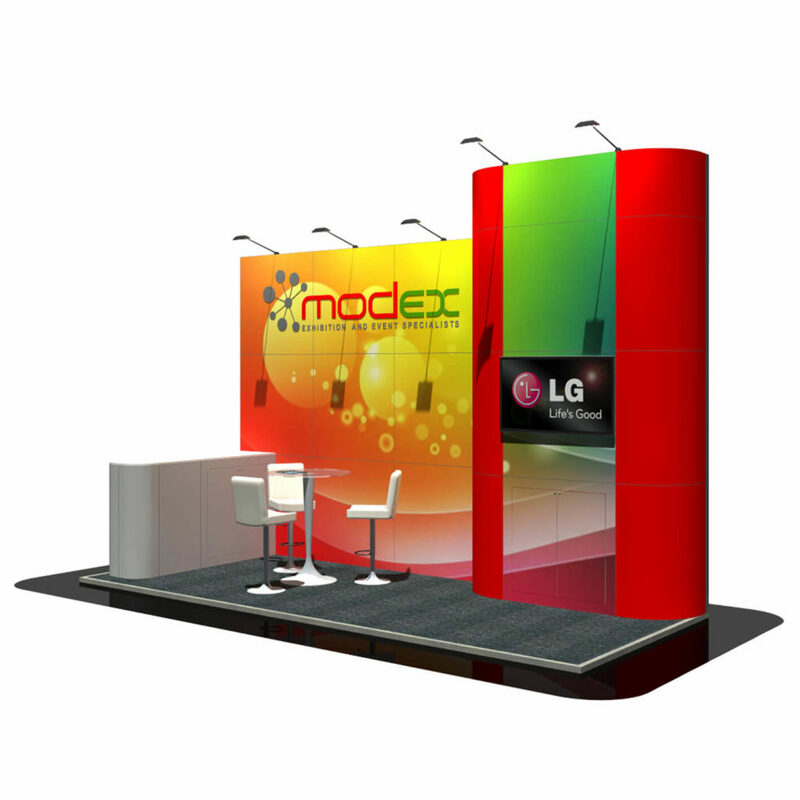 To complete the stand it has a meeting table for customer interaction and a side counter for product display.